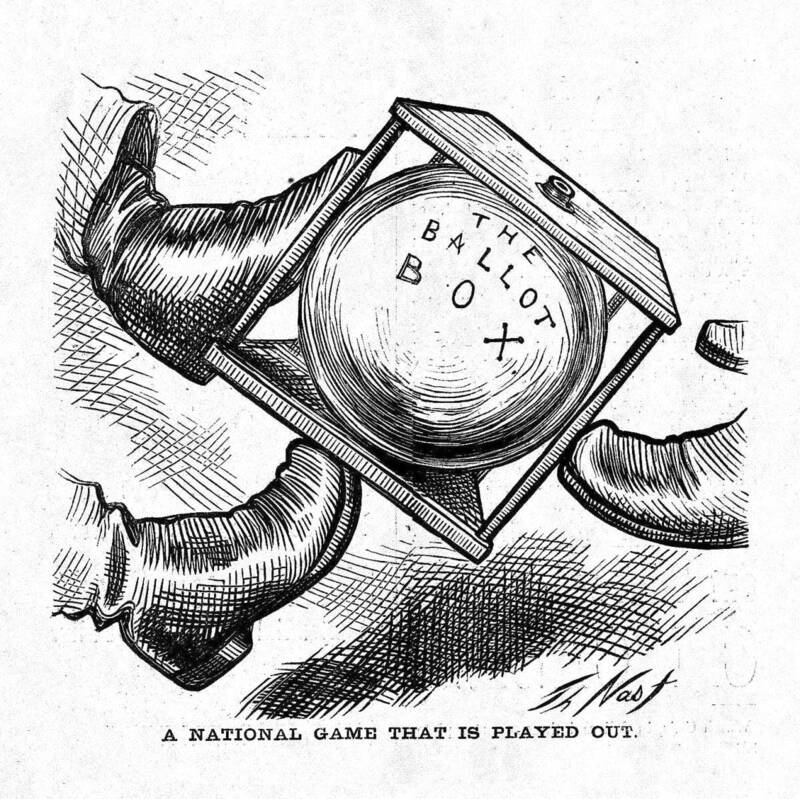 "A National Game That Is Played Out"
The disputed presidential election returns from South Carolina, Florida, and Louisiana, are here represented by a sports analogy to American football, which evolved out of English rugby. In 1876 Harvard, Princeton, and Columbia established the Intercollegiate Football Association, with Yale also participating. Until rule changes in 1881, the ball was not passed, but kicked or carried (it took four carried touchdowns to equal one kicked goal).